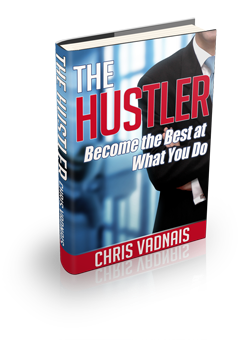 Chris Vadnais' "The Hustler: Become the Best at What You Do" is about becoming the most successful person you can possibly be. Vadnais describes the hustler as the person who is always winning awards, constantly taking their success to the next level. This inspiring book tells you how to become the hustler, by taking inventory of what you are currently doing in your life and what you need to do. One of the things that Vadnais stresses, which is not a point made in similar books, is that the hustler works hard for success. Vadnais makes it clear that you must work hard to be a hustler; he also emphasizes that failure is allowable, as long as the hustler does not quit. Some of the topics covered in the book are: how to find your niche, how to dream big, and how to network, among others. Something that is helpful about the book is that it has tie-ins to other books and psychological theories, as well as examples of hustlers in the public eye. If you're looking to improve your productivity through hard work and determination, then this book is for you.